Purchasing a puppy is a BIG commitment, and in the case of a French Bulldog, a 13 year commitment. We recommend not rushing out to buy the first cute puppy you see, but take some time to look at WHERE you are purchasing your puppy. By doing this you potentially save yourself money on vet bills and have a happy, healthy French Bulldog that will lead a long and loving life. Who to Buy a French Bulldog Puppy From? Is the Breeder registered with their State canine control organisation? (Such as Dogs West). Registered breeders are bound by a Code of Ethics which outlines the breeding of dogs for the betterment of the breed standard, and not specifically for the pet or commercial market. A Registered Breeder Can Not sell puppies prior to 8 weeks of age and usually not before 12 weeks if the puppy is being shipped to Perth from the east coast of Australia. Has the Breeder had the puppies vet checked, vaccinated and wormed prior to sale? A Registered Breeder shall ensure that all puppies sold are in the best possible state of health. Where a dog with a health issue or disability is sold, the breeder must obtain from the buyer written and signed acknowledgement of the condition of the dog. Does the Breeder offers 'Breeder Back Up' to purchaser such as advice, information and assistance? If the purchaser is no longer able to keep the puppy, where possible, will they take it back or help to rehome? Are you able to contact the breeder by phone? 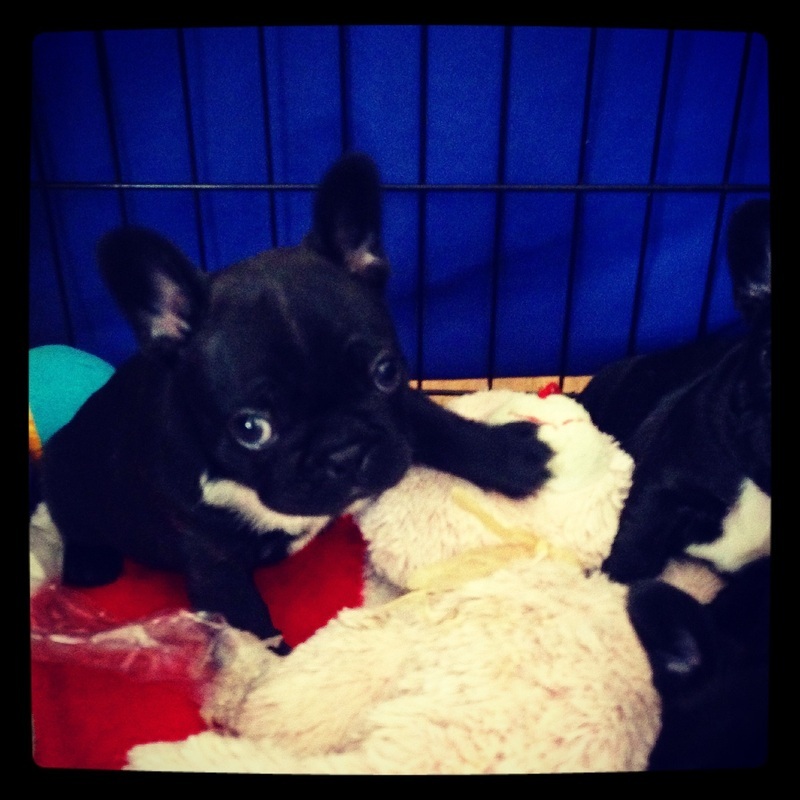 The Breeder asks YOU questions on your suitability as a French Bulldog owner. French Bulldogs are not suitable for everyone and every situation. An ethical and reliable Breeder wants to make sure that their puppies are going to the right environment. The Registered Breeder selects breeding stock based on improving the health of the breed, NOT just because the mating will produce certain colours. Please be aware that if you intend to show or breed from your French Bulldog the only colours permitted in Australia are FAWN, BRINDLE OR PIED. Whilst Frenchies of other colours make perfectly healthy pets they CANNOT be shown or bred from in Australia. ﻿Like any animal, French Bulldogs have health concerns that are particular to this breed. Here, we have outlined the most important that can affect your French Bulldog and require monitoring or maintenance from their owner. For a more detailed list of health topics please see list available below. Spine - French Bulldogs are basically "miniature mastiffs" caused by chondrodysplasia or dwarfism. Dwarfism may cause the vertibrae to miss-shapen, known as hemivertibrae or have faulty cushioning by the discs between the bones. Breed surveys in the USA indicate that 95% of French Bulldogs have some kind of spinal abnormality. Responsible breeders are working towards minimising the degree of abnormality by screening breeding stock. Ask your breeder if both parents have been spinal x-rayed prior to mating. Heat Stress- due to the flat face of the Frenchie ALL Frenchie are suseptable to over heating due to exercise and/or hot weather. This can lead to death in a very short amount of time. The degree to how much exercise and warm weather a Frenchie will tolerate will vary greatly from dog to dog, however, they ALL need careful monitoring during exercise, even in winter, and during warm weather. Contributing factors include dogs with a long soft palette and narrow nostrils. Responsible breeders will be able to point out which puppies have long soft palettes and/or narrow nostrils as this should be part of the 6 week vet check. Ethical breeders look for breeding stock that has wide nostrils and clear airways. Ears - Those big, lovable bat ears can act as a funnel for all sorts of dirt and debris. Regular cleaning of the ear canals reduces the likelihood of ear infections that some Frenchies seem to be suseptible to. Ask your breeder to show you how to clean your puppies ears.